Exporter of a wide range of products which include cms series (constant mainline stabilizer), shakti series voltage stabilizer, two in one series stabilizer, maniline series stabilizer, ac voltage stabilizers and refrigerator series stabilizer. 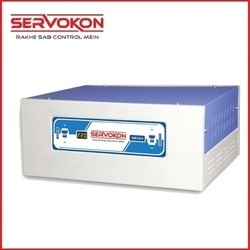 Once again, Servokon has designed India's first voltage stabilizer specifically keeping in mind India's most affected rural areas facing the worst voltage conditions. 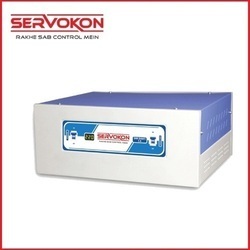 Our Shakti Series is smartly and precisely designed to provide working output voltage even when the input voltage is as low as 50V. Servokor's Two in One Stabilizer series is one-of-a-kind product in the market. Our Two in One series will work with both One Phase Input Er Two Phase Input supplies providing a stabilised working output voltage to home appliances against the Lowest & Highest Voltage Fluctuations. 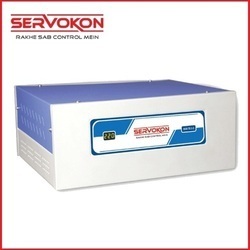 AC Voltage Stabilizers are used in most of the houses and in almost every office today. To run this electric appliance, a constant and consistent power is required. 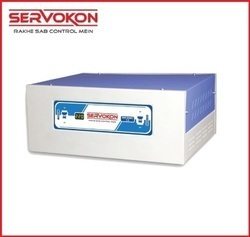 On the other hand, voltage fluctuation is a common problem that may harm the air-conditioner. 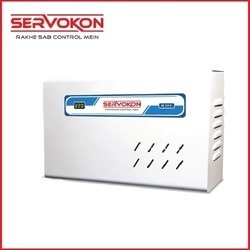 Servokon provides a reliable solution to voltage fluctuation by offering high-quality digital voltage stabilizers to be attached to your air-conditioner and other allied electronic devices. 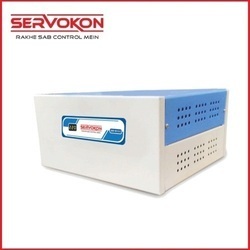 Application:These digital voltage stabilizers are specially designed for supplying the continuous power supply to air conditioners without any fluctuation in voltage. Frequent voltage fluctuations can have a negative effect on the sensitive components of your LED TV. High voltage can damage the electronic circuits as well as the LED Display. 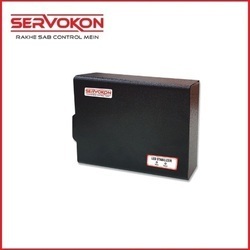 Servokon LED Series will diminish the risks associated with the frequent voltage fluctuations. We are manufacturers & suppliers of AC protectors. 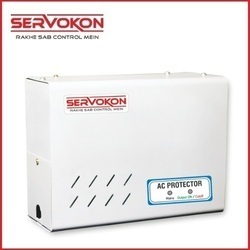 As the name suggests, Servokon's AC protector will protect your Air Conditioner (Up to 2 Ton) from unpredictable high as well as low voltage fluctuations. 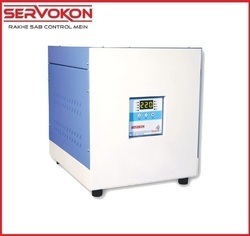 Looking for “Automatic Voltage Stabilizer”?